I've been serving as Grand High Priest for 3-months now and it still seems surreal that I occupy the Grand East. I feel like time has flown by, but it also feels just like yesterday that I was installed. I've visited about half of the Chapters and have enjoyed the hospitality of the Companions. I've also had chances to visit other Masonic groups in and out of Idaho. 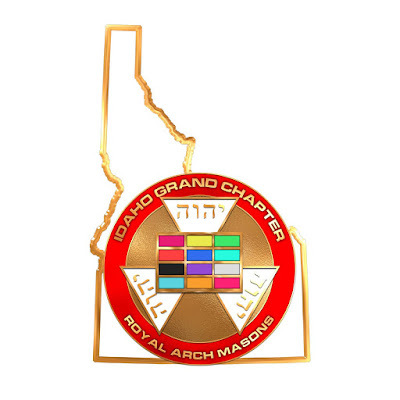 The next quarter is going to be very busy, filled with Lodge meetings, York Rite meetings, SRICF Conference, Grand Encampment, Grand Lodge of Idaho, Northwest York Rite Conference, and more Chapter Official Visitations. Now I'm off to my next adventure for work.